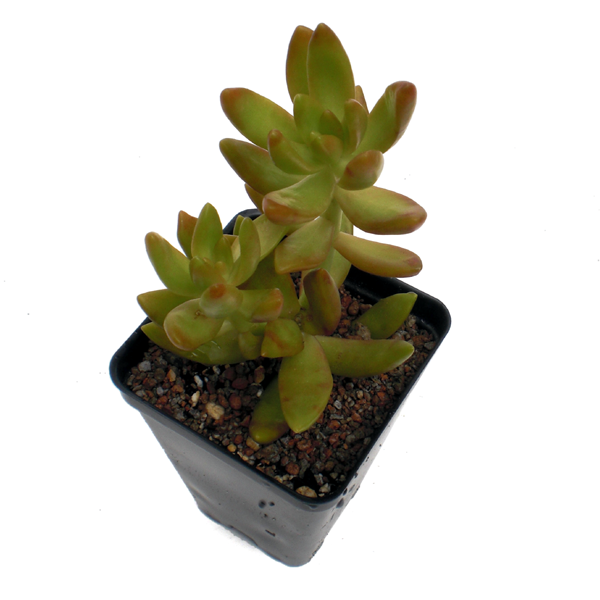 This is a staple plant for every succulent collection. In bright light, leaves turn a striking orange, yellow and red, sometimes blended with a pale neon green. The more shade, the more green it will appear. Over time it will create a ground cover, and very capable of growing into a small shrub display. Once established, this plant looks wonderful in a hanging basket. From South Africa.